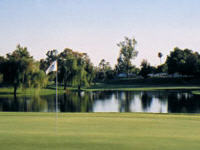 Below is a list of Arizona golf courses and lessons. The following golf course can give you lessons. SunRidge Canyon is the exclusive Arizona home of the Jim McLean Golf School the #1 Golf School in America. The Jim McLean Golf School offers many options when it comes to lessons. From 30 min lessons to 3 day golf schools our certified Jim McLean instructors will help lower your handicap! Great players are developed, not manufactured (not a "one swing fits all approach) Helping players perfect their skills, while developing a balanced approach to swing, body and mind. Teaching players to believe through a disciplined approach to preparation. Trilogy at Vistancia offers award winning instruction and is available for group, corporate, or family instruction. Call Joshua directly to discuss options available or to build your own player development program. Private golf instruction is available at Trilogy at Vistancia. At the Callaway Performance Centers (CPC), you'll have your swing evaluated with the exact same cutting edge fitting technology we use on Phil Mickelson, Ernie Els and Annika Sorenstam. You'll swing the latest clubs from golf's leading innovator and get fit into the ideal equipment for your game. There's no easier way to maximize your potential. Our trained experts create a comfortable environment so you can discover how our equipment can improve your performance. This isn't just a custom fitting, it's a precision fitting. All you have to do is bring your swing. All of our U.S. and international CPC locations are staffed by certified club specialists who have been trained to find the right clubs for every level of golfer - from the professional to the beginner. Your fitting will occur indoors in a state-of-the-art fit bay that utilizes the Callaway Performance Analysis System (CPAS). High speed cameras and precision software developed by our own R&D department capture all your relevant swing data, including swing speed, ball speed, launch angle, spin rates, attack and path angles. A ball flight simulator then displays your results on a big screen monitor. The CPAS system utilizes 3D imagery and helps your fitter accurately explain how your swing is working and which Callaway clubs would most benefit your game. You can be custom fit for woods, irons and golf balls. All of the CPC's also feature our proprietary OptiFit Fitting System, allowing you to test numerous drivers and irons with a variety of shaft and clubhead combinations in a matter of minutes. At the conclusion of your fitting, you'll leave with all your custom specifications and you'll be one step closer to shooting the lowest round of your life. Lessons are available by calling 480-832-1661. Call 623.935.2500 to schedule as lesson. Weekly clinic series designed for lady golfers of all playing abilities who are looking fo learn the game in a social atmosphere. 2:00pm, $25, Monday-Thursday includes: 35 minutes of instruction and 9 holes of golf on the Lakes Course. Mike Poe and Bruce McNee are both available for lessons at Quintero. Stone Ridge Golf Course at Prescott is a favorite among locals in the Phoenix area. Combining the tranquility of the desert and precipitous canyons with a pristine private facility, Stone Ridge has managed to create the perfect atmosphere for learning. When you train with Bird Golf Academy at Stone Ridge Golf Course, you get individualized teaching from a PGA professional, unrestricted course practice and play, player assessments, "clear key" analysis, and appealing accommodations at Stone Ridge. Bird Golf Academy at Stone Ridge Golf Course can be found at 1601 N Bluff Top Drive in Prescott Valley, AZ, 90 minutes from Phoenix. Both of our golf professionals would be happy to help you develop and improve your golf game. Lesson packages are available. Purchase 5 lessons, receive your 6th lesson free. Call the pro shop for more details at 520-825-3110.